HARARE - Morgan Tsvangirai’s MDC is gearing for its congress at the end of the month. 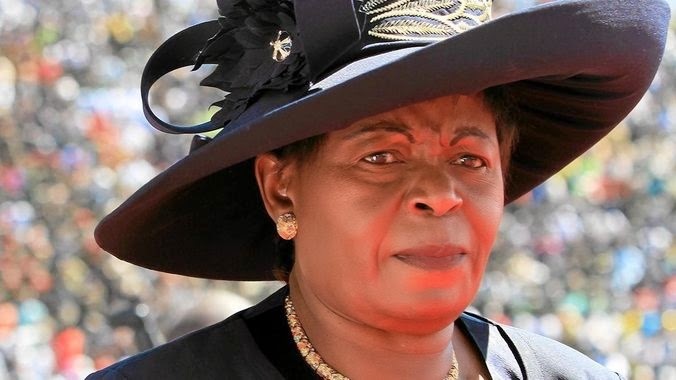 The party has just wrapped up its nominations in the 12 provinces and 62-year-old Theresa Makone (TM) has garnered eight nominations for the post of treasurer-general. Our Community Affairs Editor Margaret Chinowaita (MC) sat down with Makone for an interview and below are excerpts. MC: Why did you choose to compete for the treasurer-general’s post? TM: When Elton Mangoma was expelled from the party, a National Council meeting was held at (the MDC headquarters) Harvest House and I was appointed acting treasurer-general of the party. After my appointment, I realised that I enjoyed the work and I was able to catch up and expose a lot of things that were not known by the party. I managed to put systems in place thus allowing transparency and accountability. I know for a fact that if I had this as my substantive post, this party could be heading somewhere. I have no doubt that given the same resources that the previous administration had, the MDC could be in government today. There was a lot of abuse of power for personal gain. My main competitor (Tapiwa Mashakada) was in this administration for eight years and I don’t believe that he is genuine. If he was interested in what happened to the party for eight years, he would have made changes and I know that he started a dirty campaign on me which is totally unfounded. He should run his campaign peacefully and quietly because he watched the party disintegrating to the level it is today. He has no right to talk about anyone who was not part of the administration. I am saying it is about time that a woman is put in charge of the treasury of the party. I’m saying this because when the party first split, the secretary-general and treasurer-general — who were both men — left with a bank account and the party was left exposed with no money and we had to start from scratch. The second split saw the treasurer-general and secretary-general leaving the party with $53 in the account and we started all over again. MC: What will this post mean to you as a woman? TM: It is a public secret that women make the same dollar stretch and this is why women look after the purse in a normal home situation because we have the success of our families at heart. Women also succeed in business because they do not have any interest other than the success of their families and if it is business, it’s success as well. MC: What strengths are you bringing to this post? TM: I have been successful in my own business which I started in 1991 (Cleopatra Aesthetics). I have been the owner and managing director of this for 13 years. Most people who started the business with me are no longer on it. We have upgraded to become a medical spa which I think is the only one in the country. MC: How did you start politics? TM: This is my 41st year in politics. I have been in politics since 1973. I was expelled from the University of Rhodesia and was the only woman activist who left with more than 800 men to go into exile. I am not new in politics. I am probably one of 10 people in the party who have been in politics for that long. MC: What are you bringing to the post of treasurer-general? TM: I have proved beyond reasonable doubt that I am a keen business operator and if I plough the same principles to the party, this machine can fly to higher levels. MC: How are you going to fundraise for the MDC if selected? TM: I have no doubt that those people who have supported the party locally are now confused as to which is the real MDC and they are waiting for the outcome of this coming congress to make a decision on who to support, the MDC renewal team or the MDC-T? We have been supported by masses out there and the kind of congress we are going to have will make a difference. I have no doubt that after our congress, our original sponsors will come back. MC: How are you going to ensure transparency and accountability in the party? TM: Since the beginning, there was no financial transparency and accountability. At no time was the (MDC) president and the vice president aware of what was going on at the bank. But when I open a party bank account, I made sure that both of them will be signatories and they receive by email or sms all the transactions that take place. No transaction of any significant amount should take place without clearance by the national executive. Expenditures should be approved first by the national executive and then executed by the treasurer-general to avoid abuse of power. A lot was going on in the office of the treasurer-general, although they took all the documents, the few that remained revealed that a lot was going on. Scholarships for girls were happening, buying party property in the name of a personal companies, and all along, people thought all the properties were registered in the party’s name and they were not registered in the name of the party. The MDC-T was a player on the stock exchange but in the name of a private organisation. MC: What qualifications do you have for the treasurer-general post? TM: I have done leadership management and I am a qualified facilitator in the same discipline and I studied with University of Texas. MC: What is your working relationship with Nelson Chamisa who is gearing for a secretary-general post? TM: There are rumours that I am fighting Nelson Chamisa, I can only say this is something being contrived by my detractors inside and outside the party. They are jealous that I am leading with a wide margin and I can become the next treasurer-general. They want to scuttle this by making me fight with Chamisa. I am not interested in his post and he is not interested in mine, we can actually complement each other. I am older than him but I am in a junior position and he is much younger than me but he has a senior post to mine. He is a highly capable, brilliant young man and I am an older woman with 41 years political experience. I do not see why the two of us should be put in a boxing ring right now. We make the administration of the party and my success is his success and vice versa since we both belong to one party. Those who are threatened by the success of the party are the ones who want to put spanners in the works at the last minute. Thankfully, we are both intelligent people and we are not going to bite that kind of nonsense. We refuse to be involved in silly sideshows.